Based on years of research and performance, and presenting original discoveries that have generated groundbreaking insights, The Secret Life of Musical Notation: Defying Interpretive Traditions - the inaugural book by pianist Roberto Poli - was released in October 2010 by Amadeus Press. "Without question, it is the most significant work on piano playing to come along in decades - savvy, pragmatic, ingenious, and clearly written", says pianist, author and music critic John Bell Young. "Every music student learns conventions of musical notation that are generally taken for granted - for example, that an expanding hairpin indicates an increase in volume, or that a sforzando is a sharp accent," explains Poli. "But can we be sure that such instructions meant the same in the eighteenth and nineteenth centuries as they do today?" Poli argues that longstanding interpretations of certain commonly encountered musical signs and symbols, in works from as early as the 1770s and through the nineteenth century, may fail to reveal the composers' intended meanings. According to Poli, these misconstrued readings are due to interpretive traditions that have rested largely upon received knowledge, which can change over time, rather than historical accuracy; and that a greater awareness of the intended meanings can only bring us closer to the interpretive freedom necessary for artistic creation. 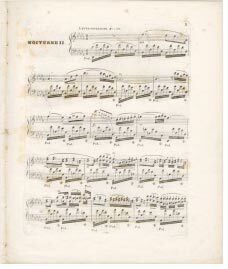 Young continues: "Certainly, though I have played and performed for more than forty years all the music that Poli so judiciously evaluates in these invaluable pages, I found myself looking at interpretive issues with a new eye and ear. He has not only resolved for me a number of long-standing interpretive challenges, but he has also enhanced the pleasure of piano playing itself." Poli's first book tracks the path of his discoveries from his years as a teenage pianist to the present, when, as a mature artist, he builds his case on evidence from contemporary published editions, manuscripts, letters and other writings of the time. What emerges is a powerful challenge to conventional wisdom about how we play classical music. Award-winning writer and professor of history at Boston University, James H. Johnson says: "Poli's discoveries reveal errors in today's standard editions and cast doubt on assertions by such authorities as the renowned author and pianist Artur Schnabel and his contemporary counterpart Charles Rosen. In my view, his conclusions will cause musicians to reevaluate fundamental assumptions regarding conventional elements of musical expression. What makes this material exciting? I would read it as akin to a revelation, as if the brush of generations of misreading were suddenly cleared for a pristine view. The effect is natural and simplifying." The Secret Life of Musical Notation: Defying Interpretive Traditions is a must-read for scholars, performers, and teachers of music and for anyone interested in exploring the history and meaning of musical notation. Says again John Bell Young: "One thing is for sure, which Roberto Poli proves admirably in his book: One is never too old nor too assured to learn something new, or to take to heart advice which, in the end, ought help any musician worth his salt achieve the primary objective, and that is to make music with the thoughtfulness and compassion it deserves." Join The Secret Life of Musical Notation on Facebook! 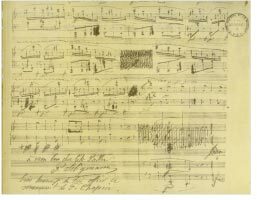 It was during the final editing stages of The Secret Life of Musical Notation that Jessica Burr, project editor at Amadeus, enthusiastically shared an idea: the creation of audio clips as parallel contributions to the musical examples found in the book. As Burr pointed out, what these pages propose is a dramatic shift from the conventional understanding of the signs and symbols I discuss, and imagining their implications without hearing their transformation might be problematic. The examples represented by audio clips are recognized throughout the book by icons placed next to the examples in question, and can be heard by using the links below.